A casual handwritten font, handmade with care by yours truly. Includes numbers and punctuation. 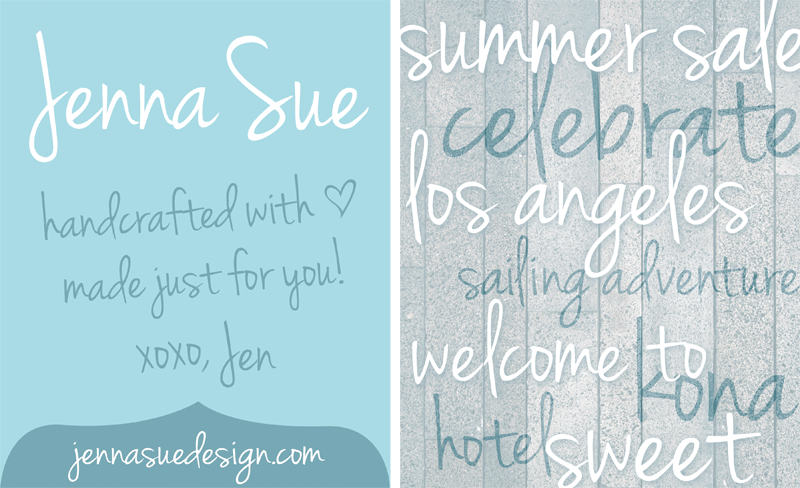 Please show your appreciation and support to Jenna Sue Design Co. by picking up a great custom print at jennasuedesign.com!